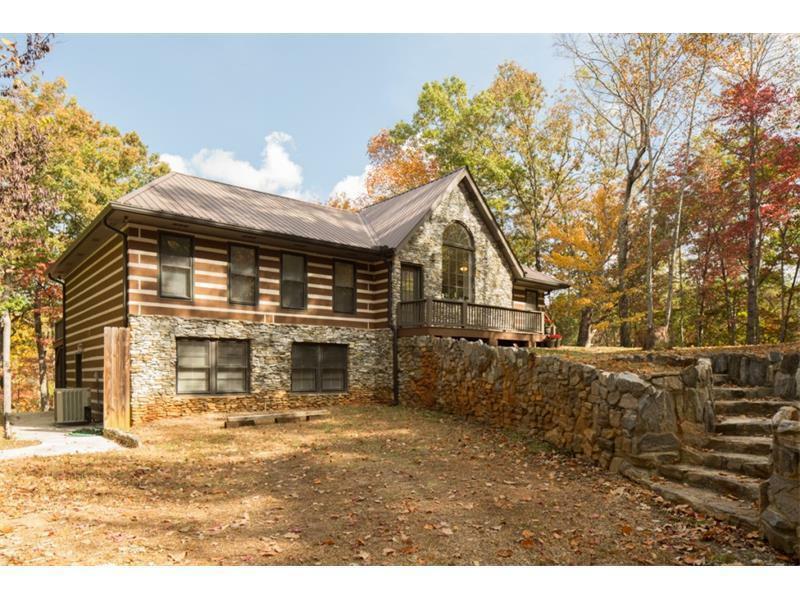 YOUR SECLUDED RETREAT but just minutes to picturesque wineries just over the Lumpkin County line in White County. 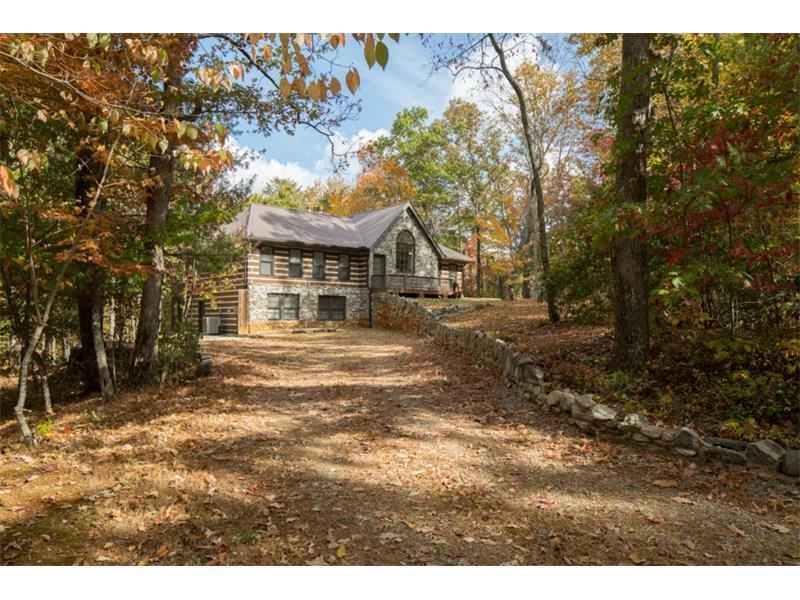 This hilltop log & stone home is your refuge on 10 wooded acres and no close neighbors. 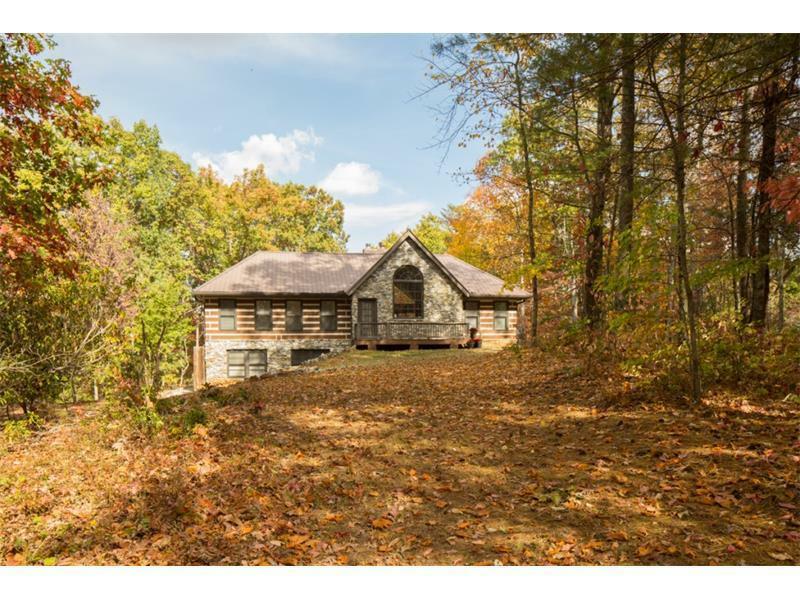 Cheerful, renovated kitchen, dramatic living room with stone fireplace plus,seasonal mountain views. 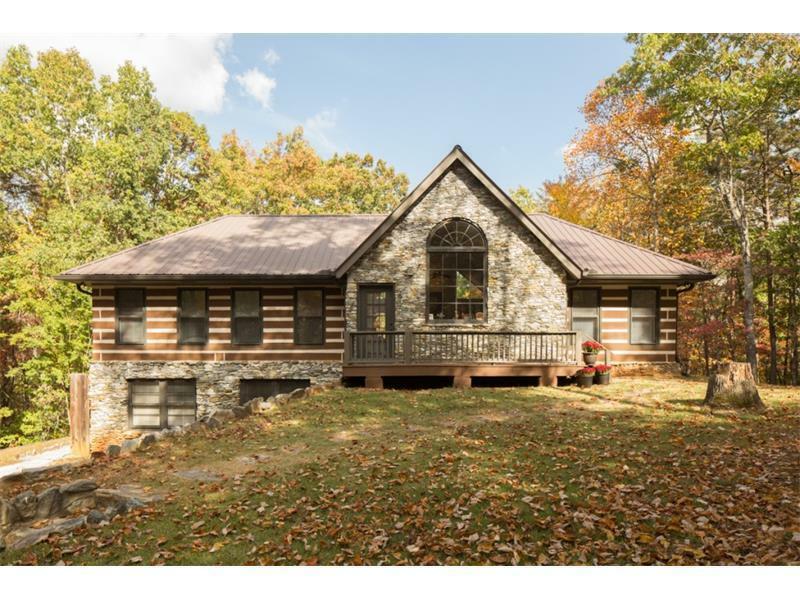 3 bedrooms, 3 baths, plus a finished basement with 1 bedroom, l bath, exercise room,& office.